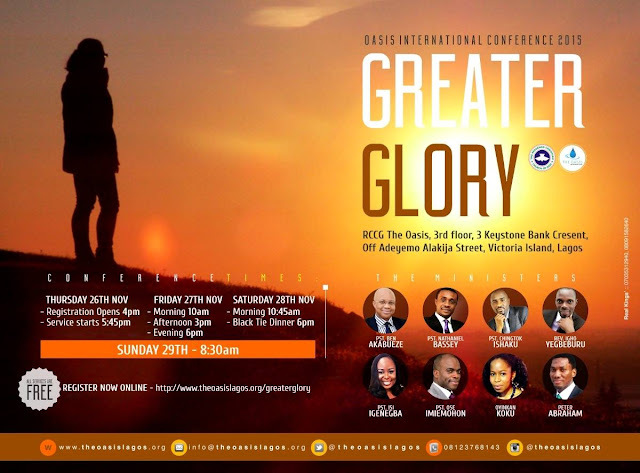 Our 2015 Conference theme is "Greater Glory", culled from Haggai 2 v 9 - "the latter glory of this House shall be greater this of the former". As the Earth gets darker, we believe God's promise that The Church will shine His Light & Hope brighter! It is our prayer that you join us from Thursday 26th - Sunday 29th November 2015 in defying all the things that have held us back until now and arise in battle-faith, God's Truth & Courage to live for His Greater Glory! ** All services at Conference are FREE **, please see below for more information and RSVP! We hope to have you with us!